Our vision at XpoSolutions is simple. It starts and ends with you, the client. Tradeshow shipments are time-sensitive and the execution must be seamless. We understand that and have built our entire company around flawlessly executing your tradeshow shipments. 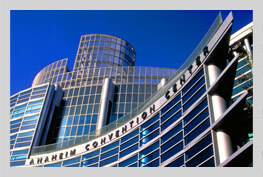 What separates us from most every other shipping company is that tradeshows are our specialty. We do not supplement our revenue with handling a tradeshow shipment here and there – tradeshow shipments are what keep us in business, so knowing the ins and outs of each show is not something we take lightly; it is necessary. There is not a show taking place in the US or Canada that we cannot handle flawlessly. Our team is equipped with the most advanced software and knowledge not only to make sure your shipments are delivered and picked-up at the times set forth by the show decorator, but also to provide you with the most cost-efficient way of doing so. If you’re an exhibitor that does one tradeshow a year or thirty, we are built to handle your specific needs. For the exhibitors that have multiple shows in a tight window, we excel at providing you with options by laying out multiple logistic strategies and helping you decide which one best suits your needs. We truly are a team here. Everyone on our staff has been through comprehensive training to handle every aspect of your shipment. Our model is not to have divided departments, but rather a united team of highly skilled individuals. This enables you to get the most accurate info possible when you talk to anyone that picks up the phone or replies to your email. It may sound cliché, but it does all start and end with you, the client. Our price and service is aimed to keep you coming back to us! We do invite you to give us an opportunity – you will come away happy that you did!